The expansion period of market research in Brazil, characterized by the increase in the number of companies developing the activity and the corresponding increase in the volume of business transacted, accompanies transformations occurring in the economy and in Brazilian society, especially the industrialization and urbanization processes which resulted in the construction of a mass consumer market in the country. Since the 1940’s, still under the dictatorship of Getúlio Vargas, there was a effort to build an industry based on domestic capital in Brazil. Getúlio took advantage of the strategic geographic position of Brazil during War World II to negotiate Brazilian support of the Allies, conditioned on American investment in the domestic steel industry, among other things. So, with American capital and funds from the Brazilian government, in 1946 CSN (National Steel Company) was founded. In full activity starting in 1948, CSN marked the beginning of Brazilian autonomy in iron and steel production. Within the same effort, now under normal democratic conditions and the same Getúlio Vargas, Petrobras was founded in October of 1953, after an enormous civic campaign ‘The Oil is Ours’, which involved the whole country. The installation of these base industries was crucial to allow the country to make an industrial leap that started in the second half of the 1950’s with the election of Juscelino Kubitschek and his development policy characterized by ‘50 years in 5’. Among other sectors, it was the beginning of the domestic automobile industry. And also an acceleration on the country’s road towards an urban society of mass consumption. These processes of industrialization, urbanization and mass consumption are deeply connected, pushing each other. The industries were installed in regions where there was available capital (in the case of Brazil, coming especially from coffee and the government) and some infrastructure, attracting manpower (from rural areas, impacted by the technical modernization of rural production) and stimulating a nascent consumer market, as well as the construction industry, retail commerce and services. Another vector of urbanization was government intervention. City development was seen in a strategic way, not only from the standpoint of development of a capitalist market in Brazil, but also as a form of national integration and maintenance of the enormous Brazilian territory. It was in this way that Brasilia was constructed and the change of the nation’s capital to a remote interior region of the country. The result of this process was the transformation of Brazil into a largely urban country already in the first half of the 1960’s. And, at the same time, the emergence of two types of challenges: the management of large cities and of regions that entered into decline, excluded from the industrial process. On the other hand it is a decade of political turmoil, with the resignation of a president, a failed parliamentary experiment, deposition of another president with a military coup in 1964 and the establishment of a dictatorship that deepened starting in 1968. · 1967 - the institute founded by Carlos Mateus joins Gallup International – a network of researchers from across the world who shared techniques and experiences. Its main business was the development of public opinion polls. · 1967 - Mavibel - the research institute created from the research department of Gessy Lever and which started serving other customers. · 1969 - AZZI and MARCHI Institutes that brought together Artur Cesar, (J.W. Thompson researcher), Rodolpho Azzi (psychologist) and Álvaro Marchi (statistician) - university professors who came to market research to survive in the face of political persecution. Although this company lasted a short time, its creative and engaging performance was remarkable and provided excellent training for professionals who went through it. 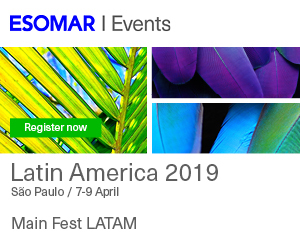 · 1969 - LPM (Market Research and Surveys) was founded by Pergentino Mendes de Almeida and his wife Dilma de A. Mendes de Almeida, initially with the partnership of Júlio César Vercesi. · 1969 - LINTAS, the house agency of LEVER hires Eugênia Paesani, a sociologist and researcher who also had a remarkable role in the technical development of research, in the development of a team of talented researchers, and in the creation of research associations. · In the late 1960’s Nielsen arrives to Brazil, and starting in 1972 offers the ‘Store Audit’ service to the Brazilian market, competing and occupying space dominated by IPOM and INESE since the 1950’s. · In 1972, Alcântara Machado Advertising hires the services of a North American psychologist and researcher, Alan Grabowsky, who develops and baptizes several research techniques. Soon the agency has the largest research department of all the agencies. Some prominent names in research during the 1960’s were Alfredo Carmo, Arthur César, Pergentino Mendes de Almeida, Paulo Pinheiro de Andrade, Maxime Castelnau, Julio Cesar Vercesi, Rodolpho Azzi, Álvaro Marchi, and others. The end of the 1960’s and the beginning of the 1970’s is the period of the ‘Brazilian miracle’, a vigorous expansion of the Brazilian economy when the GDP surpassed a 10% growth in some years and maintained an average growth of 6.5% after the first oil shock (1974). In the period between 1970 and 1979, the economy grew at an average of 8.9% per year. The government adopted Keynesian measures, increasing the investment in state companies and in investments in heavy industry, steel, petrochemical, shipbuilding, and hydroelectric energy generation. Thus, the production growth of durable consumer goods in Brazil during that period reached an average rate of 23.6% per year, and capital goods of 18.1%. Electric energy consumption grew 10% a year, and automakers produced, in 1970, three times more passenger cars than they did in 1964. During this ‘Brazilian miracle’ period, one of the greatest migrations in the country’s history happened, further boosting the growth of cities and consumer markets. 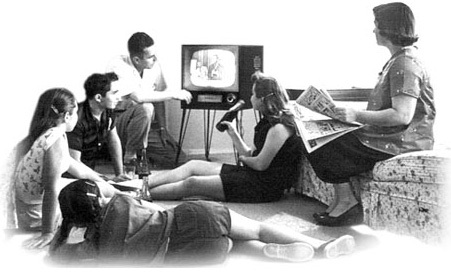 The TV becomes the communication medium of great importance, increasing its participation of the advertising pie. In 1972, Rede Globo begins broadcasting in color and in 1975 begins national transmission via satellite. At this point the research market continues its growth trend with the creation and expansion of the institutes. The need to establish parameters for professional practice becomes clear and in the middle of the 1970’s, ABIPEME (Brazilian Association of Market Research Institute), under the command of Otávio da Costa Eduardo, reunited the representative institutions of the market at the time: LPM, IBOPE, DEMANDA, IPOM, among others. One of the important questions for the association was to define a unified classification criteria in order to allow the comparison of results of studies conducted in different places, by different companies, in different periods. Until 1969, each research institute developed and used its own criteria, making it difficult for clients. In 1970, criteria was created by the ABA (Brazilian Association of Advertisers) that divided the population in four classes. In 1974, as part of a creation effort by ABIPEME, this criteria was revised, and the social classification ABA/ABIPEME was created, segmenting the Brazilian population in eight economic classes. The growing market attracts the interest of companies from other countries to associate with domestic companies. In 1973, LPM, of Pergentino Mendes de Almeida, associates with Burke International Research Corporation and creates the DAR (day after recall) methodology implanted from the U.S. of advertising recall research. In 1977, it develops recall evaluation studies of billboards together with Billboard Central. Starting in the 1970’s, an ‘explosion’ of qualitative research also happens. From the ‘secret weapon’, a novelty and fad in the late 1960’s, starts becoming incorporated as a complementary technique to quantitative market research studies being conducted and improved to this day. But the end of the 1970’s also marks the change of advertising agencies. These agencies, which were major research schools in the 60’s and 70’s, decide to focus on their ‘core business’, reducing or eliminating their research areas. This movement of the agencies caused many qualified professionals to open their own research institutions to continue serving the agencies’ clients. A similar movement was made by large companies that had internal research areas. It is the case of Mavibel, a department of Gessy Lever that had already gained some independence to serve other clients and, in 1986, together with another eleven research departments of Lever worldwide, is sold to the Ogilvy group and becomes RI (Research International). RI was, until the turn of the century, a major producer of labor and a great ad-hoc research firm in the country, next to Nielsen in store audit research and with Ibope in media and public opinion studies. During the 1970’s, several researchers reached prominence in the activity, among them: Eugênia Paesani, Carlos Matheus, Alan Grabowsky, Hilda Wickerhauser, Gerson Danelli, Homero Sánchez among many others. The oil crisis led to an acceleration of the inflation rate in the entire world and mainly in Brazil, where is reached 15.5% in 1973 and 34.5% in 1974. The Brazilian trade balance, starting in 1974, had huge deficits caused mainly by the importation of oil. At the end of this decade, inflation reached 94.7% per year; in 1980 it was already close to 110%, and in 1983 it reached a level of 200%. Brazilian external debt reached US$ 90 billion. To pay it, 90% of the revenue from exports was used, and Brazil entered a strong economic recession that would last until the 1990's. Besides the economic crisis that led to the ‘Lost Decade’ denomination, the 1980’s are remembered also for the re-democratization of the country. At the start of the decade, new parties are created in addition to PMDB and ARENA, the two parties maintained during the military regime. In 1984, one of the biggest popular movements in the history of Brazil breaks, the ‘DIRECT ELECTIONS NOW’, urging the establishment of direct elections of the country’s president. Despite not achieving this goal, the first civilian president is elected to Congress in more than two decades, and in 1988, a new constitution is created. And, at the end of the decade, the first presidential election of this new period of democracy is held. The research market is consolidated, with professionals of high technical level and with institutes of the most varied sizes and profiles. Economic crises and competition make this a difficult moment for the majority of companies. The Collor Plan, at the turn of the decade from 1980’s to the 1990’s, looking to control inflation, withdrew from circulation a large part of society’s and companies’ resources. Many research companies reduced their activities or entered the 1990’s in a very critical financial situation. In 1981, SBPM is created, an organization of researchers that promoted courses and lectures to help train researchers. The organization has gone through several crises over the years, but still has a prominent role in the sector. Among the prominent researchers in this decade, among others, are Nelsom Marangoni, Aurora Yasuda, Jaime Troiano and Paulo Secches. · Indicator, created as an intelligence department for an advertising company and that ended up being more interesting as a business than the own agency, becoming a research company in 1987. · Interscience, created in 1983 as research department spinoff of the advertising agency CBBA, which took with it ongoing projects from the agency. · Novaction, created in 1989 by Pedro Fernandez, an academic statistician who already did consulting for companies, in association with a French company with the basic objective of making predictions of market potential for new products. They co-exist and compete with the so called ‘boutiques’, smaller companies in general, identified with their owner-researcher already signaling the conflict of business models that will become a characteristic in this moment of transition.